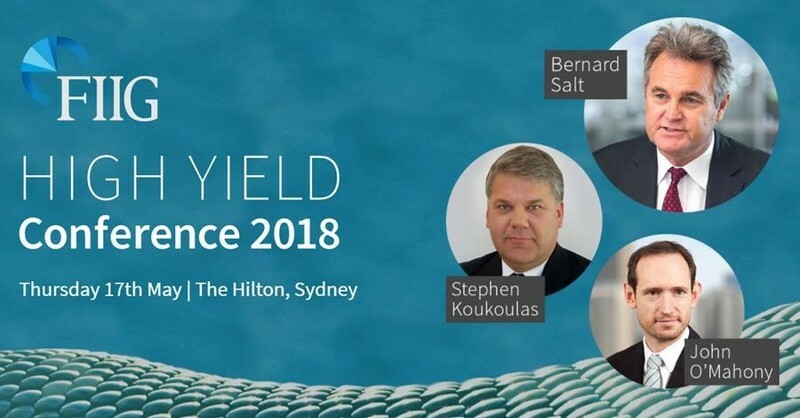 For exclusive insights on how to access the high yield bond market, come and hear directly from 20 industry leaders at FIIG’s High Yield Conference on Thursday 17th May at The Hilton, Sydney. Presenters including Bernard Salt, Stephen Koukoulas, and John O’Mahony will conduct a variety of sessions that will enhance and build on your existing knowledge, and demonstrate the growing opportunity in the corporate bond sector. Learn about the current trends, performance and predictions for high yield corporate bonds, gain insights from the Deloitte Access Economics special report on the market, and hear firsthand from the bond issuers themselves. Places are strictly limited, so please book now to avoid disappointment.